Can You See Yourself As A Crown Diamond? That is a great quote from Zig isn’t it? How do you see yourself? Do you see yourself as a success in your network marketing business? Can you see yourself as a Silver, Gold, Platinum, Diamond and then Crown Diamond? Do you actually believe that you can achieve those ranks? If you will be successful in anything, you must see it and believe it. That belief needs to be with every fiber of your being. If you see yourself as a failure or have any doubt as to your ability to achieve the goal, you won’t be able to get there. It’s just that simple. Getting your mindset in the right direction is absolutely vital to your success, especially in network marketing. If you are serious about earning a full time income in network marketing, you will want to become familiar with the compensation plan and leadership ranks. Once you reach the leadership levels, the compensation plan pays more. The higher you are in the leadership levels, the higher your compensation will be. The top of the pay plan is usually Diamond or Crown Diamond rank. Have you thought about reaching the rank of Diamond in your business? I have found that many distributors don’t really see themselves reaching that high in the company. Some can’t even see themselves reaching the first leadership rank, Silver in our company, Young Living Essential Oils. Can you see yourself as a Crown Diamond or even Silver? If you are serious about earning a good income in this business, you must get serious about reaching the leadership ranks in your company plan. Start seeing yourself as a Crown Diamond. If you can’t see it and believe it, it will never happen. Seeing yourself as Crown Diamond will help you as you are climbing up the earlier leadership ranks. Constantly be picturing yourself in the role of a successful high earning successful leader. See it! Feel it! Now, thinking about that quote by Zig Ziglar, “You cannot perform in a manner inconsistent with the way you see yourself.” If you see yourself as a successful leader in your company, you will act accordingly. Success in just a matter of time if you see it, believe it and act in a way that will get you there. If you have doubts, you won’t. 9. Visualization – This one is an important one people often neglect. See and feel what it feels like to achieve success in network marketing company. Spend a little time each day visualizing and getting comfortable with various aspects of your business. When you visualize, see yourself going on stage receiving an award for each rank. EFT is a powerful tool that can help you increase the vision of yourself achieving the leadership ranks in your company. 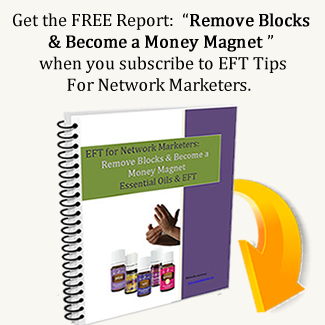 Try the EFT tapping session below to help strengthen your belief in reaching the top ranks. Even though I’m having doubts that I can get to Crown Diamond, I deeply and completely love and accept myself. Even though I am not sure I get to Crown Diamond, I choose to feel start seeing myself in that rank. Even though my doubts are blocking my success, I’m willing to see myself getting to Crown Diamond. (eyebrow) I have some doubts about my ability to get to the top leadership ranks. (side of eye) I’m not sure I can achieve the Crown Diamond rank. (under eye) I’m not sure I can even get to Silver. (nose) I have some doubts about my ability to be successful. (chin) I know others have done it but can I? (collarbone) I’m not that much different than they are. (under arm) If they can do it, why can’t I? (head) I think I will start releasing the doubts. (eyebrow) I choose to see myself as a successful Crown Diamond. (side of eye) I am releasing all the doubts about getting to Crown Diamond. (under eye) I am releasing all the doubts about my ability to attract customers and business builders. (nose) I am releasing all the doubts about my success. (head) then Diamond, then Crown Diamond. (eyebrow) I am so excited to be leading a team of wonderful people. (side of eye) I can believe I will get to Crown Diamond. (under eye) I radiate the confidence of a successful Crown Diamond. (nose) I choose to be full of passion as I grow through the ranks to Crown Diamond. (chin) I love the confidence I am feeling. (collarbone) I believe I will get to Crown Diamond. (under arm) I can see myself on stage receiving the Crown Diamond award. (head) I can feel the sense of satisfaction and pride that I have achieved Crown Diamond. 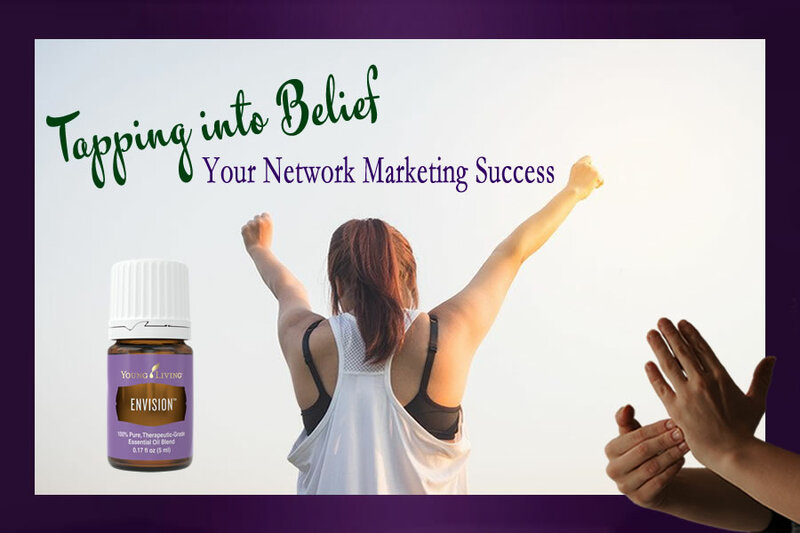 Young Living distributors will want to use one of the essential oil blends to enhance the process. There are several essential oil blends that are wonderful to aid growth and success. Abundance, Acceptance, Believe, Envision, Gathering, Into the Future, Magnify Your Purpose, Motivation, Release, Transformation and Valor. 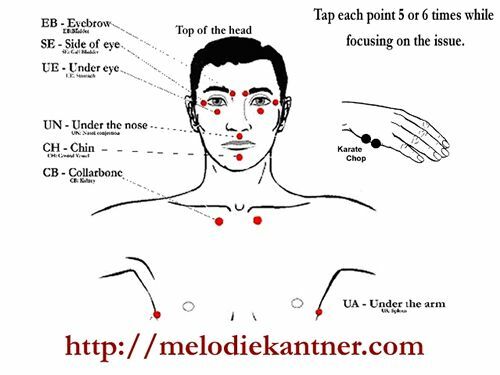 Just add a couple drops of oil to your fingertips and start tapping through the EFT points. You can tap through several times in one session but I recommend doing this daily or several times a week until you really believe you will achieve success.